DODEKANISOS SEAWAYS - New offer from Dodekanisos Seaways for Panormitis-Symi on Tuesday 01/05/18. New offer from Dodekanisos Seaways for one day excursion to Panormitis-Symi on Tuesday 01/05/18 for the Labour Day, with a price of 19€ (with return ticket the same day) with the vessel Panagia Skiadeni for limited number of seats. Dodekanisos Seaways offers 40% DISCOUNT on return ticket for one day trip to Patmos on 13/04/17.The offer is valid for:Departures from Rhodes, Symi, Kos, Kalymnos, Leros, Lipsi, pre-booked return ticket with return on the same day and is valid for limited number of seats. 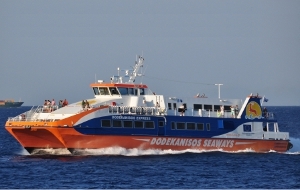 Dodekanisos Seaways announces that today Thursday 09/03/17 the itinerary of 08.30 from Rhodes to Halki, Tilos, Nisiros, Kos, Kalimnos (roundtrip), has been cancelled due to weather conditions and will be made tomorrow Friday 10/03/17. The itinerary of Friday from Rhodes to Symi, Kos, Kalimnos, Leros, Leipsoi and Patmos (roundtrip) is scheduled for Saturday 11/03/17. 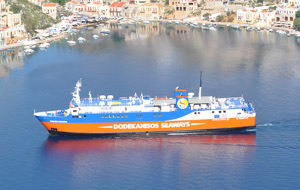 DODEKANISOS SEAWAYS - Dodekanisos Seaways announces new offers from Rhodes to Panormitis and to Kastelorizo. Dodekanisos Seaways announces new offers from Rhodes: Daily excursion to Panormitis at Symi with Panagia Skiadeni vessel at 21€ (round trip). 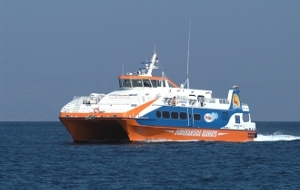 Daily excursion to Kastelorizo with Dodekanisos Express vessel at 37€ (round trip). Ενημερωθείτε για την μονοήμερη εκδρομή στο Καστελόριζο.